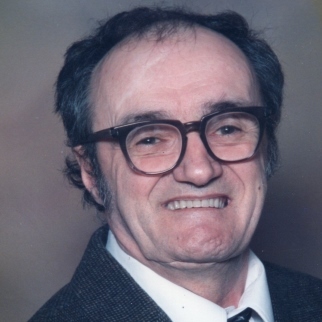 Leonard Dionne, 79, of Bristol, beloved husband of Gaetane (Violette) Dionne, passed away on Friday (October 26, 2018) at Bristol Hospital. Leonard was born in Canada on June 13, 1939 and was a son of the late Paul and Edmee (Desjardins) Dionne. Leonard loved being outdoors where enjoyed fishing, camping and wood working. He was the neighborhood “go to guy” and loved helping others. In addition to his beloved wife, Leonard is survived by his two sons: David and his wife Marci of Bristol, Tom and his wife Lynn of Burlington; his daughter: Suzan Martin and her husband Allen of Bristol; his three brothers: Norbert, Jean-Marie and Lionel “Joe” all of Florida; his four sisters: Bernadette Dube, his twin, of Canada, Jeanna Dionne of Florida, Marie Ange Beaudoin of Canada, Mariette Lafrancois of Canada; two grandchildren: Katelyn and Mikayla Martin; and several nieces and nephews. In addition to his parents, he is predeceased by his two brothers: Wilbrod and Jeannot Dionne. A Mass of Christian Burial will be celebrated on Friday, (November 2, 2018) at 11:00 AM at St. Gregory Church, 235 Maltby Street, Bristol. Burial will follow in the Holy Family Mausoleum of St. Joseph Cemetery. Relatives and friends may call at Funk Funeral Home, 35 Bellevue Ave., Bristol on Friday from 9:30 AM to 10:30 AM. In lieu of flowers, please make memorial donations to Bristol Hospital Hospice, 222 Main Street, Bristol, CT 06010. Please visit Leonard’s memorial web-site at www.FunkFuneralHome.com.